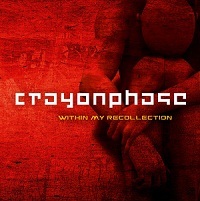 CRAYON PHASE is a progressive rock band from the ruhr area and musically located somewhere between Neo Prog and New Art Rock, between epic and 13/8, between rock out and listening closely. The music reflects a wide range of sounds and atmospheres: sometimes melodic and playful, then back to hard rock, sometimes epic, sometimes dynamic, often complex and tricky, but also straightforward and intuitive. CRAYON PHASE was formed in 2008 by Frank Wendel (vocals, keys). One year later he recruited Wolfgang Bähr (guitar, bass), followed by drummer Arne Gröschel and keyboard player Frank Brommer in the next years. In 2013 they released their debut album “Within my Recollection”. This year also saw the arrival of Peter Damm as the new bassist. The band’s influences are based on classical as well as modern prog bands from Genesis and Yes over Marillion and Saga, up to Spock’s Beard and Porcupine Tree. Basically they want to part from the paragons, to sound less retro with more modern sounds by creating their own interpretation of the various elements of progressive rock. 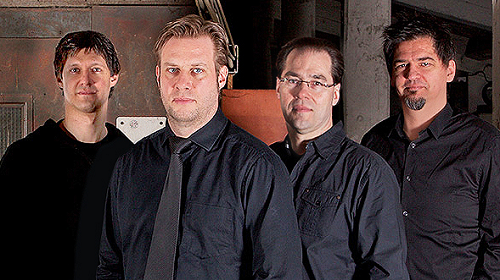 In 2015 Frank Brommer left the band and was replaced by Frank Wendel. Frank Wendel decided to focus only on keys so the band is still searching for a new singer. At the moment the band is also writing on the second album.